Once a sport only for the brave, nowadays your whole family from children to senior citizens can enjoy the thrill of the waves with the help of North Caloundra Surf School. As a Surfing Australia surf school, North Caloundra Surf School is recognized as being on the cutting edge when it comes to teaching surfing and is now a provider of surfing as a school sport to most local primary schools. Up to 6 students in a private group. 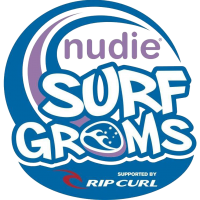 North Caloundra Surf School can design a customized program to suit your groups needs! Click the logo for more information on how to register!